From people looking for a simpler way of life – -a life without all the clutter and commercial trappings most Americans have become convinced they need — to people who can’t afford the over-inflated prices of the modern American suburban home, tiny homes can offer an affordable alternative. But as these homes catch the eyes of those looking to own their own little slice of the American Dream, zoning boards throughout the country are looking to put a stop to the tiny home movement. Throughout the country, zoning boards are increasing the minimum Square footage requirements for acceptable homes, making it harder and harder for those looking to slim down to do so in any meaningful way. Pittsburgh resident Rachel Ford found out the hard way, just how tough it is to actually find a place to park a tiny home. After shelling out $25,000 to buy her dream tiny home, a fraction of what it would have cost her to build an average size American home, Rachel quickly found out that most cities have banned these little dwellings, claiming they don’t comply with local zoning regulations. Rachel told WTAE in Pittsburgh that she wants to own a house but can’t afford it right now, so she looked into alternatives and became interested in a smaller home, something most Americans can relate to as home prices skyrocket beyond what most people can afford. On some level I can understand people wanting their neighborhoods to look and feel a certain way, after all people pay a whole hell of a lot of money to buy their piece of the American Dream, and nobody wants someone moving into their neighborhood who is going to cause problems. But local zoning boards have become increasingly tyrannical in the way they do business, moving from protecting neighborhoods from shady builders, to trying to reshape them into their image of what America should look like. 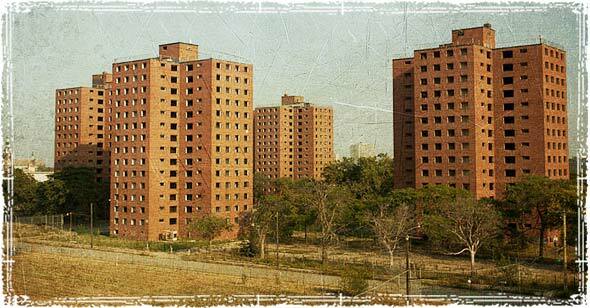 In fact, many of these so-called “local” zoning departments are now taking orders directly from the federal government, in order to reshape American neighborhoods into culturally diverse Utopias that rarely turn out as planned. Last year we covered how the city of Seattle was actually attempting to ban single family homes, because these traditional American homes somehow discriminate against minorities. These weren’t tiny homes; they were average size homes that didn’t fit into the new definition of how Americans are supposed to live. Instead of the traditional single-family home, the city of Seattle wanted future homes to be replaced by apartment buildings and housing projects — because nothing says diversity and freedom like piling a bunch of people into low-income housing projects. The move seemed to be prompted by a national movement, pushed by the Obama administration, to redefine the American landscape. Last year, the Obama administration quietly issued new rules to the Fair Housing Act; rules that will radically change the way your neighborhood looks. The Affirmatively Furthering Fair Housing Rule (AFFH) will change zoning laws, redefine neighborhoods, control transportation and business development, and remove the authority of state and local governments in the areas of zoning, transportation and education. There is a growing movement at every level of the government to regulate how people live, where they live, and even what they are allowed to do on their own property. Back in 2012, I covered the heartbreaking story of Andrew Wordes, otherwise known as the Roswell Chicken Man. 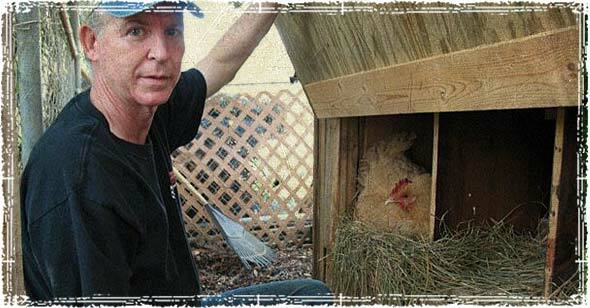 In 2005, Wordes started raising chickens on his 97-acre homestead. He did everything by the book, and was simply trying to live a self-reliant lifestyle on his own little piece of property. But when local officials wanted to build a park on his land, they began a relentless campaign of harassment and intimidation, eventually causing Wordes to take his own life after the city attempted to arrest him for “zoning vioaltions” and unlawfully seize his land. Stories like Wordes aren’t an anomaly; they are a growing problem throughout the country. From the Off-Grid Residents of Costilla County, Colorado, who are being banned from living on their own land, to the World War II veteran that lost his family business and land after local government used eminent domain to claim ownership of his property, freedom loving Americans are under attack. Are tiny homes really so Tiny? Consider this: According to the National Association of Home Builders, the average size of a new single-family American home in 1950 was 983 square feet. Back then, it was considered normal to have one bathroom, or for two or three kids to share a bedroom. The average family size has shrunk from 3.8 people in 1950 to 2.6 people today, but the average home size has more than doubled to over 2,349 square feet. 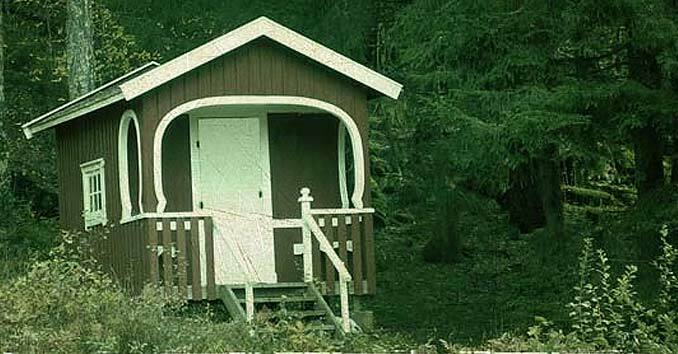 While many in today’s society might consider these so-called tiny homes to be impractical, for some they are bigger than life. The tiny home movement isn’t about living small, it’s about living big; living beyond the walls. Most people who move into these little homes find they spend more time in the outdoors, worry less about bills and mortgage payments, and are able to focus on the important things in life. 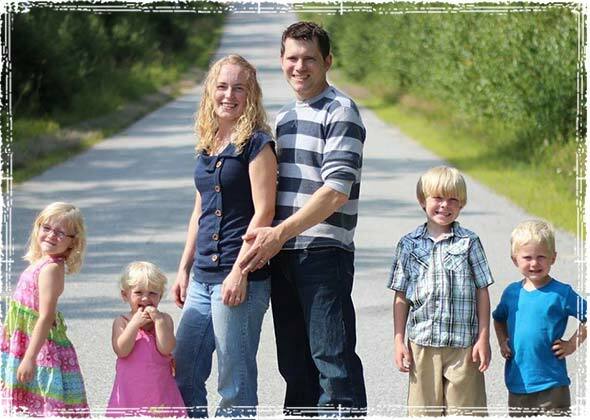 Check out our story on how a family of six moved off the grid, into their very own tiny home. It’s a good look into the lifestyle, and how this type of living can really improve your family life. On her blog, Ford wrote that she wants a tiny house in order to have financial freedom, actual freedom and simplicity. And that, in my opinion, is the crux of the story. That one little word; Freedom. We are losing our freedom; the freedoms endowed by our Creator and protected by our constitution are being shredded before our eyes. But sadly, most Americans have become conditioned to look the other way. As long as they have their reality T.V. shows, their “medical marijuana”, and their pharmaceutical drugs they’re good — their minds are numb to what’s really going on in the real world around them. We’ve become a bad sci-fi movie, where the drones & zombies have taken over. Time to get into politics. I do not recommend placing your home on another’s property without a carefully written lease agreement or someone could lose their home. Our community has a 1200 sq ft min for new construction. It effects the value of property when sizes are not restricted. If the majority of homes are between 1500 and 2000 sq ft and you build one at 600 sq ft…it will effect the values of the houses on each side and maybee one or two further. This upsets some homeowners. You may feel you have the right to build as you please, but what right do you have to lower my property value when i chose where i am to have a specific resale value, etc. it is each homeowners responsiblity to know rules and codes BEFORE laying out $thousands of dollars. Perhaps what you should be more focused on is WHY a smaller than normal house that is still well built and not trashy looking some how reduces the value of your property. Also if you buy a home for its resale value and not because you want that home then IDGAF what you think about what anyone else in the neighborhood is doing. You invested, that’s your risk. You shouldn’t be allowed to use the law to limit what someone does with their home to protect your investment. If it is safe and sound, it should be allowed. Okay, wow where do I even begin? Sadly I am falling more and more out of love with my birth country, America. None of this is right and the noose just keeps getting tighter and tighter with each passing year, so much so I am actually thinking of moving to another country like perhaps Canada. In closing my final thought is this. Maybe there is no actual “American dream” and like George Carlin once said. “The owners of this country know the truth it’s called “The American dream” cause you have to be asleep to believe it. Zoning laws are usually implemented at the behest of people in the real estate industry. Professional licensing is usually done at the behest of people already in the affected business. I built my own home in 2004 in rural NH. 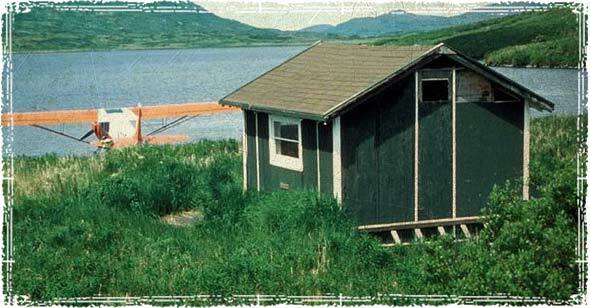 I was also surprised to find out that it was illegal to build a home smaller than 600 square feet. Curiously the way the codes are here, my totally finished basement doesn’t count towards the total square footage, so I really have a 1,200 square foot house (600 main floor and 600 basement), the smallest you can build here if you want a full basement (which is a great thing to have to get access to free underground thermal stability). It really IS a shame that these codes are being created – talk about discriminatory. It’s literally a code enforced decision some less-well-off people must make between becoming indebted to a bank, and homelessness. Weird, another big-business benefactor of yet another dumb law… I’m sure it’s just a coincidence! I just built a shed this summer. It’s 14x10feet, with a loft. I could TOTALLY live in there, and I built it in a way that someone could if the SHTF and family comes a’knocking… that was actually a big reason for building it at all, the way the economy is headed. Due diligence is not that hard. It is when the rules are changed multiple times after you already did your “due diligence” and have been living by the rules for years. Kind of hard to comply when the rules are constantly changed to screw you our of your land and the way you live. That is true, typically those situations should have a grandfather clause. Moderation and common sense is the key to many of these problems. Many cities in SoCal are way overdeveloped, add drought and lack of rain, it’s a nightmare. Yet, there are many locations in the Pacific Northwest (WA, OR, ID, WY, MT, etc) where tiny homes should not be permitted and legislated out of existence. Homelessness is at an all time high, and home affordability at an all time low in many US regions. Tiny Homes should not be permitted in the Rock Mt. Region ? Brent Are YOU AN IDIOT ? Who are you to determine what kind of home should be permitted ? It is people LIKE YOU that are RUINING AMERICA !Stay in California or New York or whatever CESSPOOL you live in and stay out of the Rockies ! You will not blend . What gets me is when the area you move into, miles of no major development, few scattered homes, you buy property, large acreage, and then get told you cannot buy a mobile home and put it there. You want to live simple, can afford a nice size single wide home. The officials arrive and say you cannot put it there on your own property. It is like what?????? This nice looking home is not good enough for the area, we are older retirees, We do not want a bigger place, this is enough for us to try and take care of. Leave us alone. I wanted to address your comment more directly. It’s not the way the mobile home LOOKS that causes problems locally, it’s the way it’s BUILT. Mobile, or manufactured, homes, only meet federal building regulations, whereas modular and traditionally built homes meet local building regs. Modular homes are totally customizable and available in many sizes that will meet your local building codes without creating more maintenance for you. They’re also sturdier – a plus if your area has dangerous weather – and more energy efficient (another plus) as well. The link in my prior reply has more detailed info. Great post!I’ve learned a lot from this, some american dreams really turned into nightmares. Thanks for sharing this! Looking forward to more. I own a historic small home, built as a “Sunday” house, for steel mill workers, so their families could come visit them. There were no motels in the area then. Workers with good record were allowed the use of the “Sunday House”. I love my small house, and anyone who tries to bother me with any baloney will indeed have a “Big” fight on their hands. Not amused by hearing about the loss of freedom to decide where and how you want to live. Seems like it’s a “so what situation”. So what if we prefer small houses, why not spend the energy used to prosecute tiny home owners, on catching car thieves, or heroin drug dealers. Heck! spend some of that energy on preventing child abuse, or saving an endangered species. Shaking my head and feeling shame that people are being treated so badly.